The Swifts are one of the best pop punk bands we’ve heard in ages. Which is very interesting because half the band come from metal backgrounds and for their latest album All Sunshine they enlisted the talents of metal guitar god Ahrue Luster to produce. Here is The Swifts front man Mike Little on All Sunshine and working with Ahrue Luster. 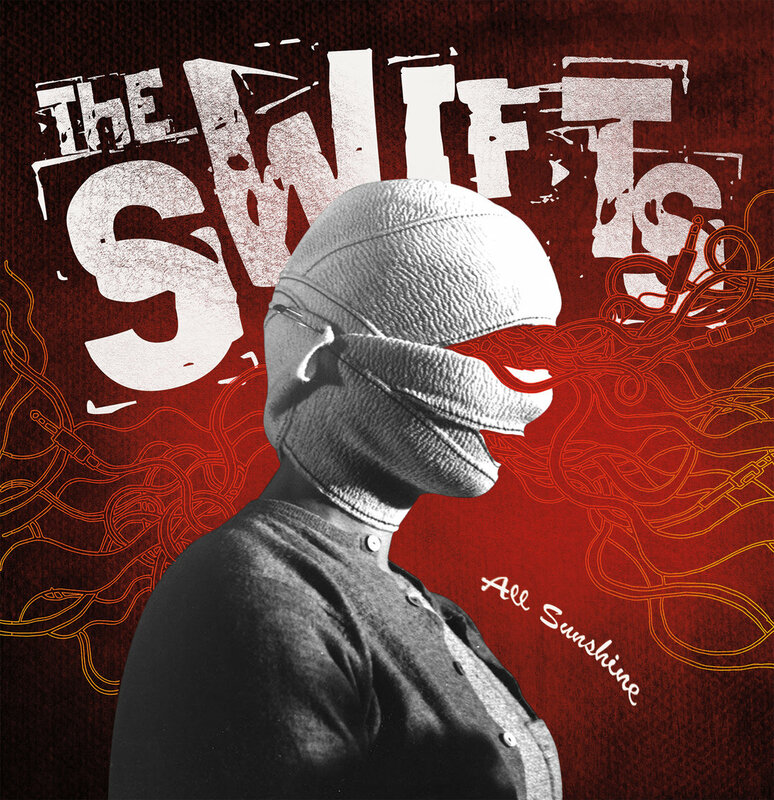 What was the driving inspiration behind the creation of The Swifts? We’ve kept the same goal from the beginning which is to have fun and not take ourselves too seriously. We’ve always said that if we’re not having fun, then we’re doing something wrong. When we first started, we turned old cover songs into punk songs. We had a blast doing that but then eventually started writing our own songs and now here we are. Who are the band members and what are their roles? 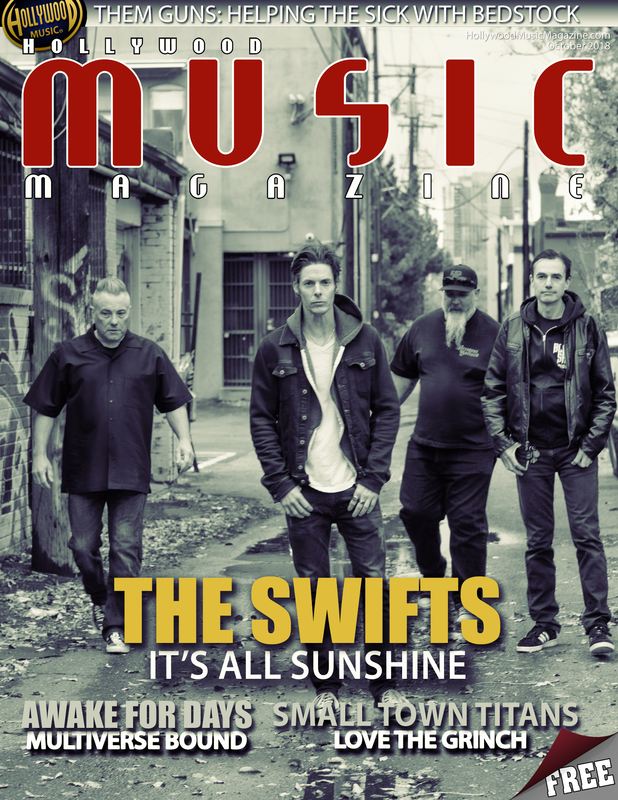 What sort of musical training have the members of The Swifts taken part in? 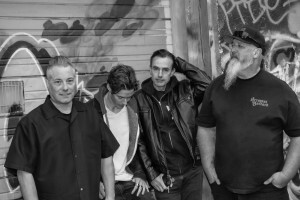 We’ve all played in many different bands over the past several decades covering punk, metal, jazz and a few other genres. Rob and Rich have been to music school. I do the majority of the songwriting. Once I get an outline of a song that I like, I’ll record a demo and bring it to the band. Then we collectively work through the arrangement and will add or remove parts based on what everyone hears. Everyone brings their own creativity to the final product. What are some things about the The Swift’s style that shows off your uniqueness and individuality? The 4 of us come from very different backgrounds in terms of musical influences. 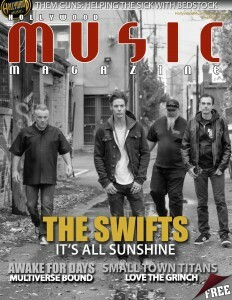 Even though the Swifts are a pop punk band, we didn’t all grow up in that genre. I think our diverse backgrounds really come through in how the music is approached and played. For example, Jim is a full on metal guy and he plays bass like metal guy which I love. The new album All Sunshine just dropped. How do the songs represent your view of the world? We don’t have one particular view of the world other than it needed to have another punk record in it. The record is really a snapshot in time. Most of the songs reflect the season of life we’ve been in over the past couple years. What was it like working with Ahrue Luster? I really loved working with Ahrue. I didn’t really understand the role of a producer until working with Ahrue. He’s there to challenge us. He’s there to think of things we would never think of. He’s there to be objective and tell us when something works and when something doesn’t. He plays all those roles extremely well. He is also is a veteran in the music industry, an extremely talented musician and overall wonderful guy to hang out with. Please describe what All Sunshine sounds like as a whole and any specific songs you think that stand out among the rest at this point? We tried to make a record that’s high energy, catchy and melodic. Lyrically the record has a tone of cynicism. This wasn’t intentional, it’s just what came out. Each of us have gone through some very difficult times over the past few years and the contents of the lyrics reflect that. I think October Sky, Snappy and All Sunshine stand out. Those songs just sort of flowed out of the writing process which I think makes for the best songs. .
Lyrically what are some of the most personal moments that are discussed in the songs? October Sky is definitely the most personal song. It’s about losing my mom. She passed away in the middle of the night while my Dad and I were with her. After I left the hospital I didn’t want to go home so I drove to a parking lot and just sat there for hours until the sun came up. If you listen to the song, it will all make sense. That event marked the beginning of some of the most painful couple years of my life. During those times I had so many well meaning people tell me “it will be ok” or “everything happens for a reason.” I got really tired of hearing it thus Snappy was born. I Will Be There is about betrayal. I went through a betrayal during the same time period which is where the song came from. I think almost everyone has dealt with betrayal and can relate to the feeling. Musically how did you challenge yourselves to create the best songs you could? I think the key is not to rush it. For me there’s a process I go through when writing songs where I’m trying to decide whether it’s good or not. I start out loving an idea then a week later I hate it. I have to let that process work long enough to where I can objectively determine that it’s something I would listen to as if I didn’t write it. At that point I will bring it the guys and they will make it better by adding their creativity. Ahrue then becomes the ultimate test and he’s not shy about saying when something needs to be rewritten. Having said all that, I still want to write punk songs. I still want to have the simplicity in the songs that makes punk what it is. Sometimes not overthinking it is the key. Why do you feel that people really need to hear this album? This is a tough question. We’re really proud of the record and had so much fun making it. I just hope people give it a chance. What was The Swift’s biggest highlight of 2018 besides dropping the new album? The biggest highlight was playing Beastival which was a music and art festival that raised money for a women that lost her home in a fire. We helped raise some money, had a blast and made a bunch of new friends. All of us have families and a million other commitments and you have to prioritize your time. But we all love to play our instruments and we love to hang out together. That gives us a couple excuses to make time. What are your band goals for 2019? We want to get out and play live more. A lot of 2018 was focused on finishing the record so we didn’t play live as much as we’d like. I’d also love to get back in the studio and work on the next batch of songs.